The program ‘Jump into Reading (독서산책)’ was held on October 2 from 5 p.m. to 7 p.m. in room 522 of Myungshin Building. It was managed by the General Education Research Institute for the purpose of enhancing students’ critical reading and developing their discussion skill. On October 2, the reading material was the book <Dangerous Women (1997)>, which discuss the idea of gender and Korean nationalism, and the program was headed by Professor Lee Seonok. After Lee’s initial lecture which summarized the themes of the book, participants grouped themselves into teams to discuss a series of questions that were given to them prior to the lecture. Kang Hyeona, Department of German Language & Culture ’18, expressed her satisfaction with the program saying, “The most impressive part for me was being able to discuss with other Sookmyungians about the destruction of nationalism from a feminism perspective. In the discussion, I not only enhanced my listening ability but also my speaking ability.” The program ‘Jump into Reading’ was launched last year, and with its success, the program was expanded into three sessions this year. 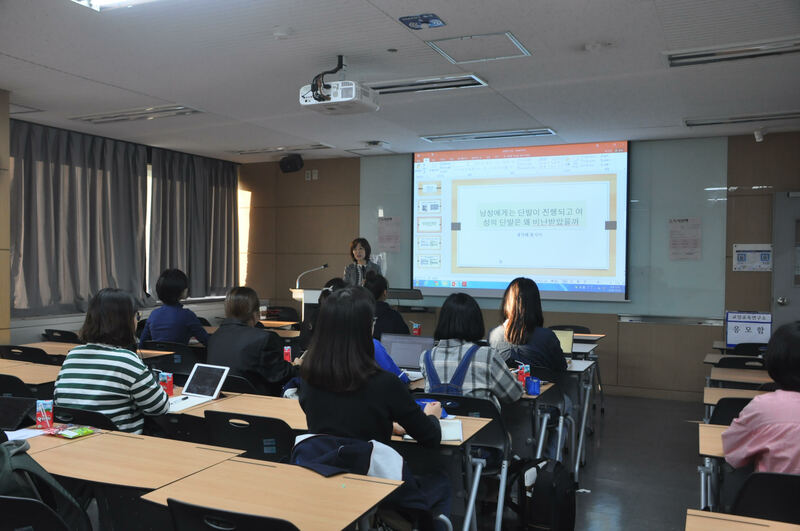 Kim Hyunju, Assistant in General Education Research Institute, said “This year, the first session of ‘Jump into Reading’ filled up quickly. I think this happened because of the success of the programme last year. I hope the program provides Sookmyungians the opportunities to expand their thoughts by reading together and share their points of view.” The second session was held in October 31, and the topic of discussion will be the book <Birth of Democracy (2018)>. The final session was November 28 with the topic of that session, the book <Time for Outrage (2010)>. All stakeholders believe the ‘Jump into Reading’ program will provide the platform for Sookmyunians to share their thoughts freely.